Maybe they under cooked the fires, a little bit. I like mine to be crispy. I want them to be like biting into a nice piece of fried chicken. Fresh out the grease. Nice and crispy. I wanted to try something new today. 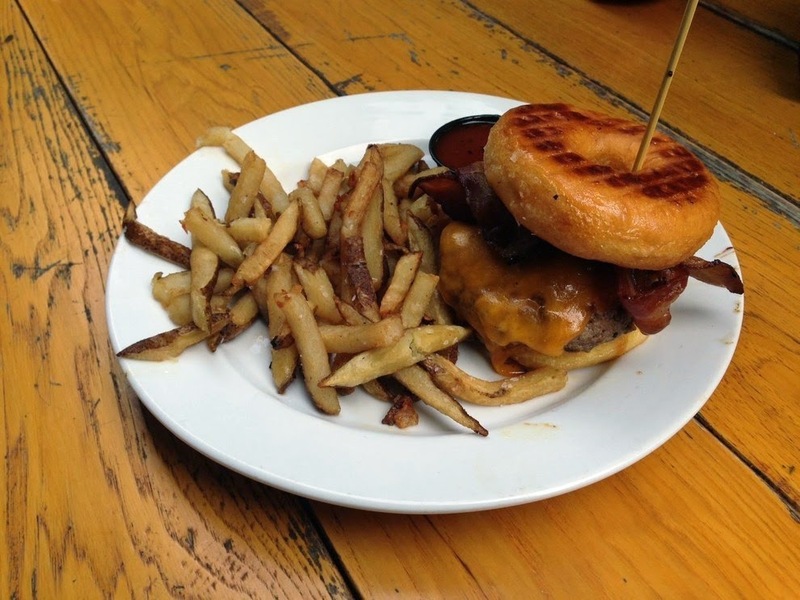 So what you see before you is that, Bacon cheese burger with a donut bun. With the BBQ sauce on the side. I have been seeing a lot of this being offer on menus now. This being donut buns. The mixing between the tangy and sweet. I um liked it. I won't be making this a regular for me but it was cool. It was a nice thing to have every now and then. Like having cake and ice cream. You either have one or another but on some nights, you go in for both. It felt as if I was eating lunch and desert.